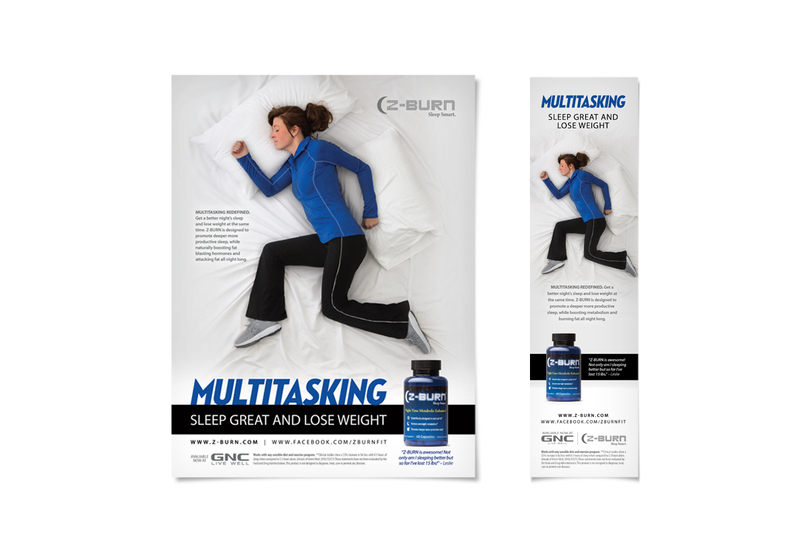 Fitness One, creators of cutting-edge, results-driven fitness products, launched a revolutionary nighttime fat loss supplement, Z-BURN®. Since losing fat while you sleep is hard to believe, we knew the ad should reflect exactly how that worked. It also had to be eye-catching and different, in the crowded weight-loss product market. Mindful of the young company’s budget, we used one of our employees in the photo shoot. We could have lost some sleep over this one, but that’s where the client samples came in handy!